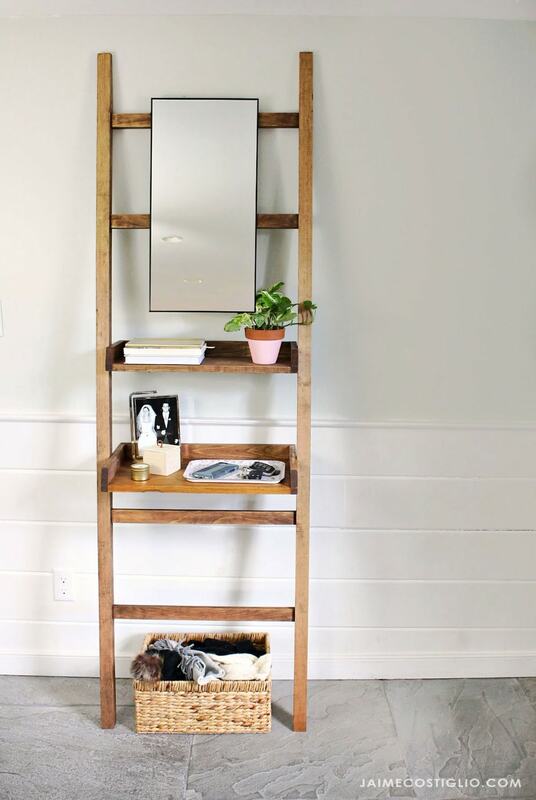 Do you have a narrow entry hallway that would fit a slim piece of furniture but you haven’t yet found the perfect piece? 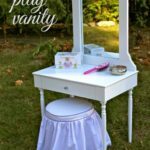 Or maybe you need a standing vanity space to fix your hair and make up? 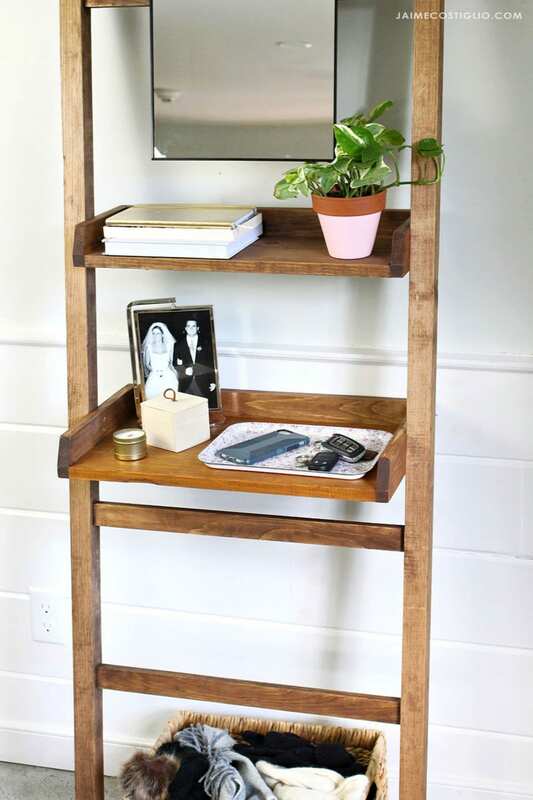 We are continuing on with the Handbuilt Holiday series today and sharing a leaning shelf that just might be the perfect fit for your space. 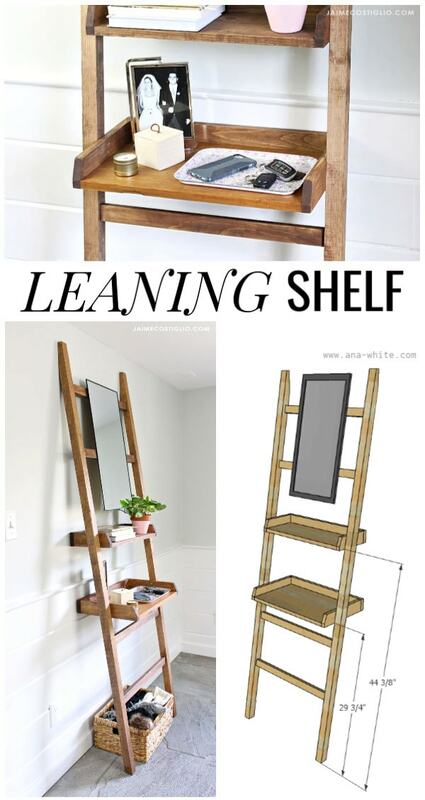 Build a leaning shelf with a mirror for a narrow entry space or as a standing vanity. 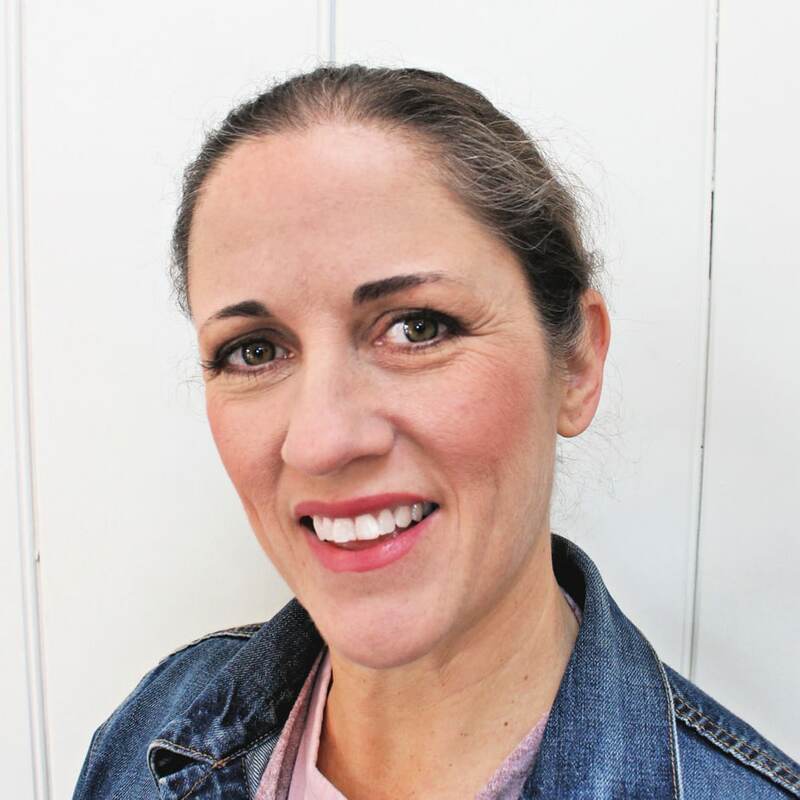 Includes free plans from Ana White. 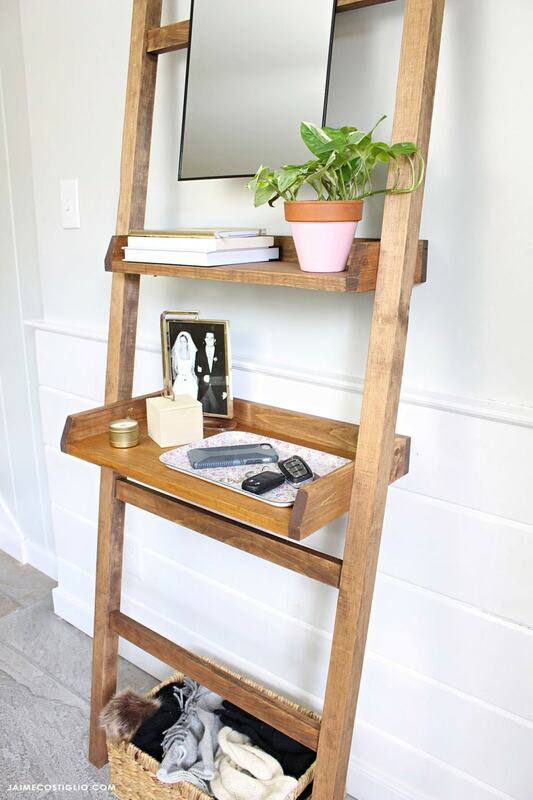 A very simple project you can build in just an hour that would also make a very useful gift. 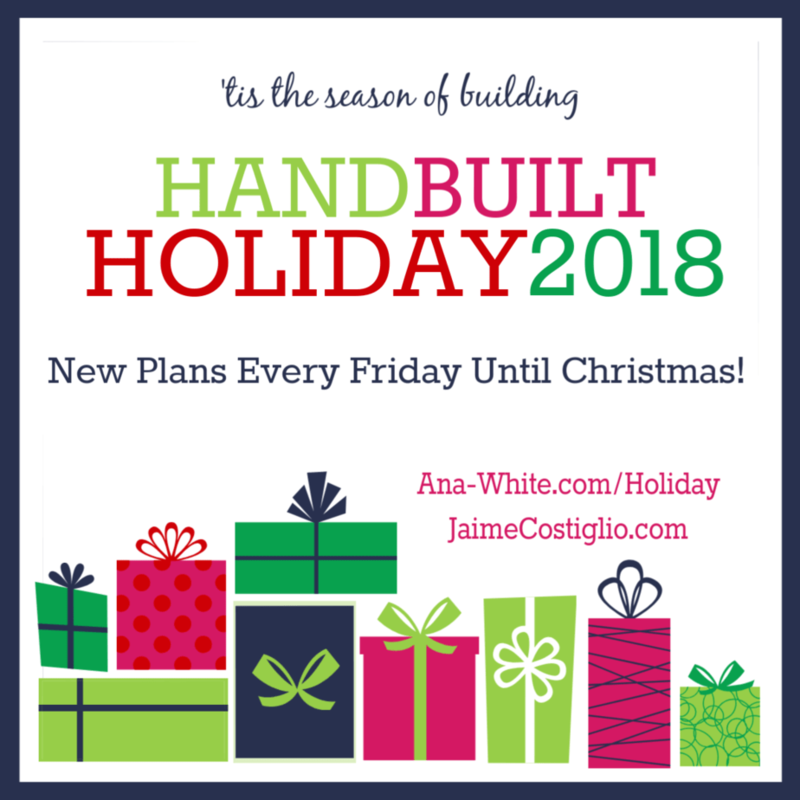 Ana and I are here every Friday before Christmas sharing a new gift project plan you can make. 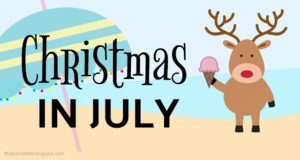 Be sure to have a look through all of our holiday gift projects from this year and previous years here. You might just find the perfect project for that special someone on your list. 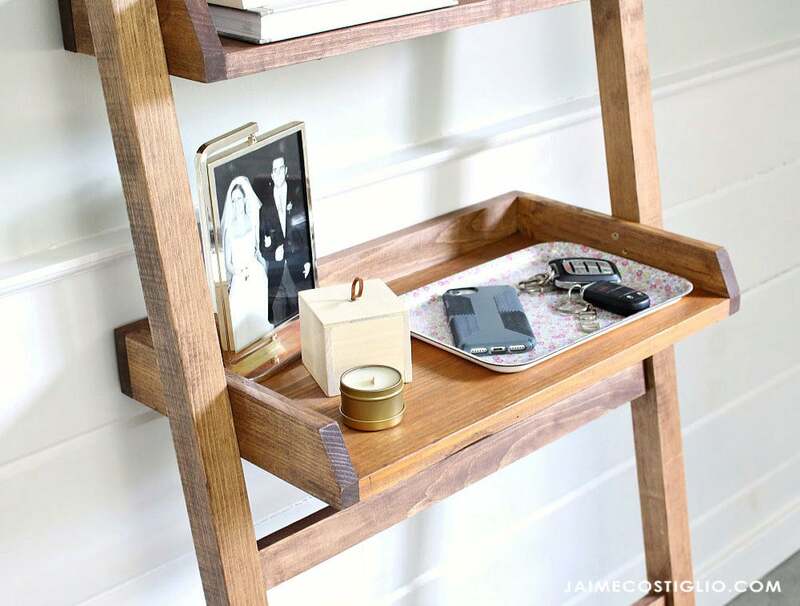 This leaning shelf makes the perfect catch all for your entry space. Two open shelves leave plenty of space for mail, keys, etc. 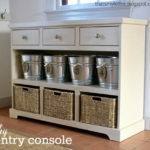 You could even add a third lower shelf if you need the storage space. 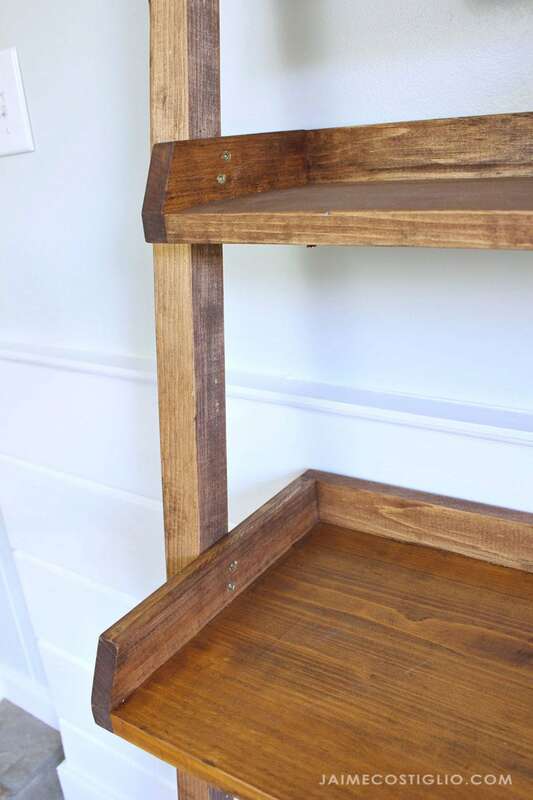 The leaning shelf is extremely stable but if you’re worried about movement you could always secure to the wall either through the top leg posts or just under the shelves. There’s plenty of space below for a basket or other bin for gloves, hats, scarves, etc. 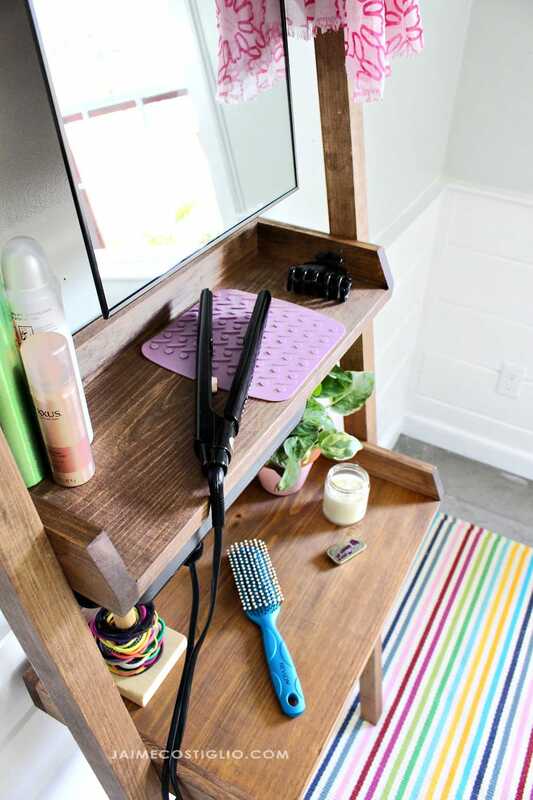 You could also add a few hooks on either side of the mirror for hanging keys and other items. 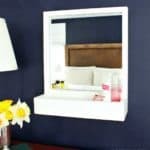 This leaning shelf extends out into the room about 12″ which helps keep the walking space clear but still provide shelve space, storage and a mirror to check yourself. 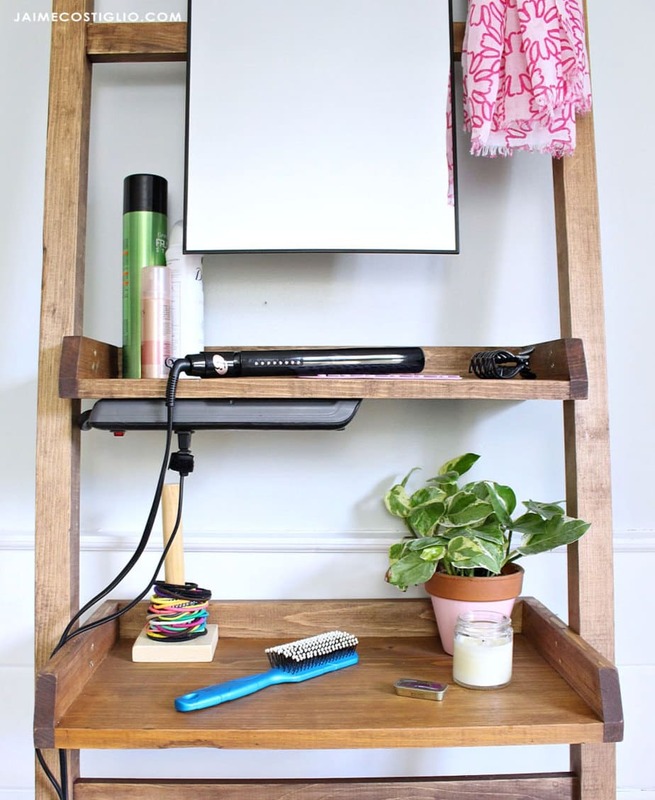 Another option for this leaning shelf is to function as a standing vanity space. 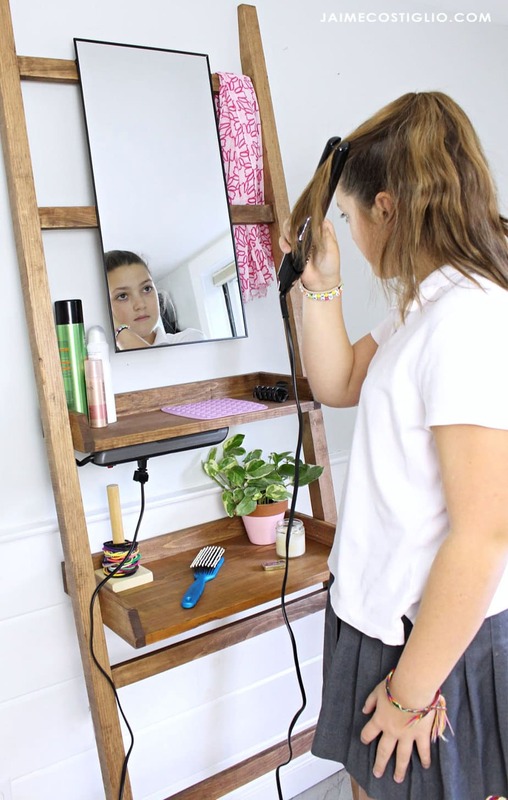 I added a power strip for hair tools and a silicone mat to protect the wood surface and now it’s ready for my teen girls to fix their hair. The power strip is affixed on the underside of the shelf. I also thought about attaching it to the backside of one of the post legs. At any rate it keeps the shelves clear for other tools, sprays and hair accessories. The top shelf fits one heat tool but the bottom shelf could fit two. I know my girls use multiple tools so having the power will come in handy. Ana has the free plans for this leaning shelf here. Before you go please scroll down for a few building notes. 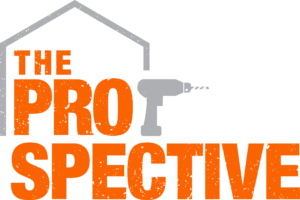 Follow Ana’s plans to construct the leaning frame portion and two shelves. Attach the mirror at top center (use a screw at center back on the cross support and hang the mirror on the screw). Position the leaning shelf against a wall before you try to attach the shelves. 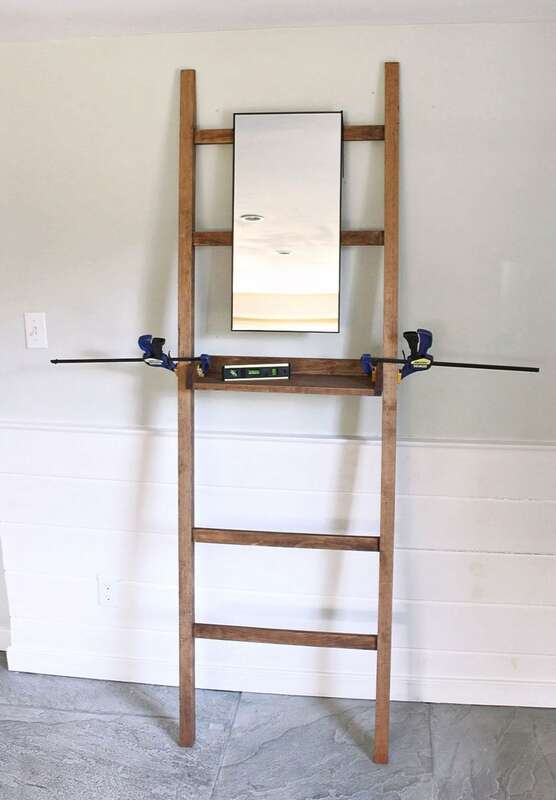 Place the top shelf in position and clamp. Use a level to check both side to side and front to back. The shelves should sit flush to the wall at back. 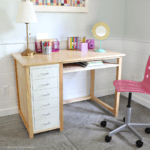 Once perfectly level attach the shelf to the posts using 2″ countersunk wood screws. 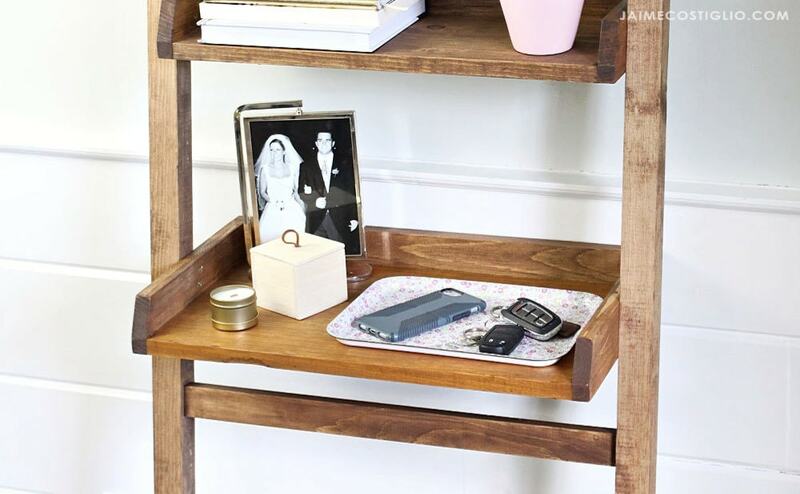 Be sure to use 2 screws on each side so your shelf is secure. 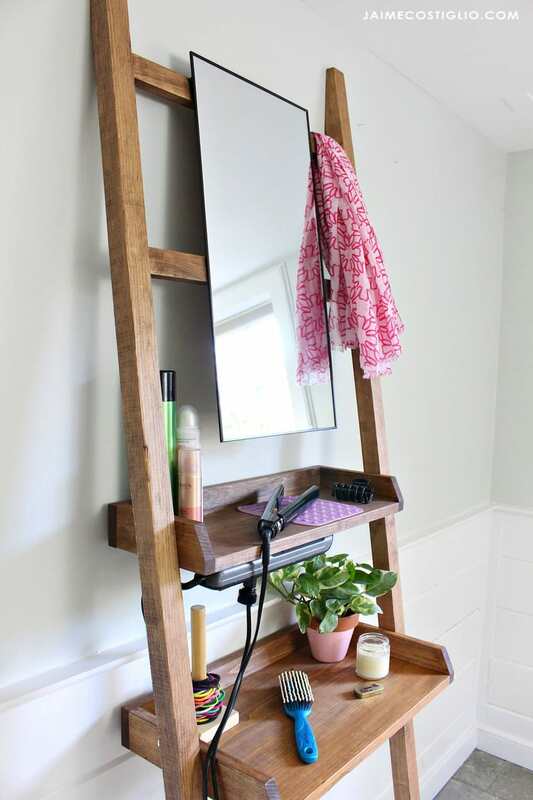 Such a great idea, and it can be used in small spaces as well. thank you for sharing!